Linen postcard. N135. 1533. Metrocraft. 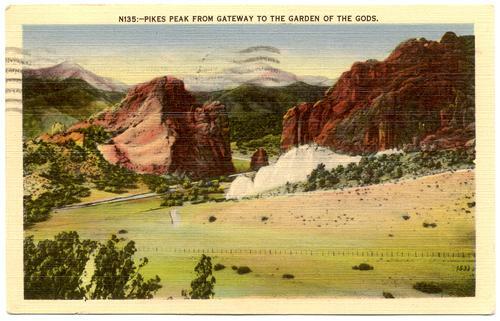 Published by The Denver News Co.
Posted 1940 from Manitou Springs.